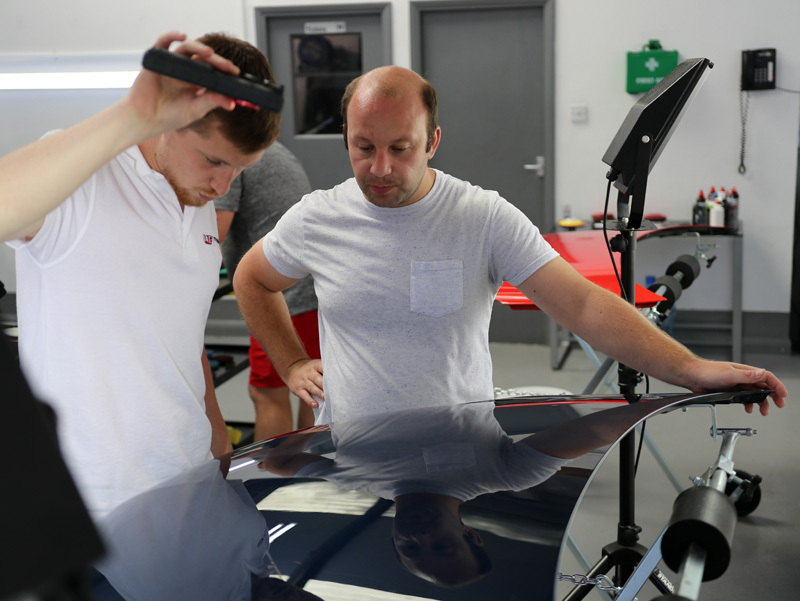 UF has over twenty years’ experience in the detailing industry and recently introduced a range of training courses tailored for both car care enthusiasts and detailing professionals. 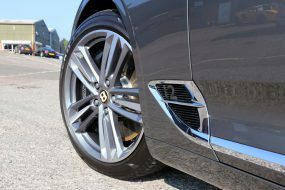 Each course provides a complete overview of the techniques, products and processes required to restore and maintain the cosmetic appearance of a vehicle. 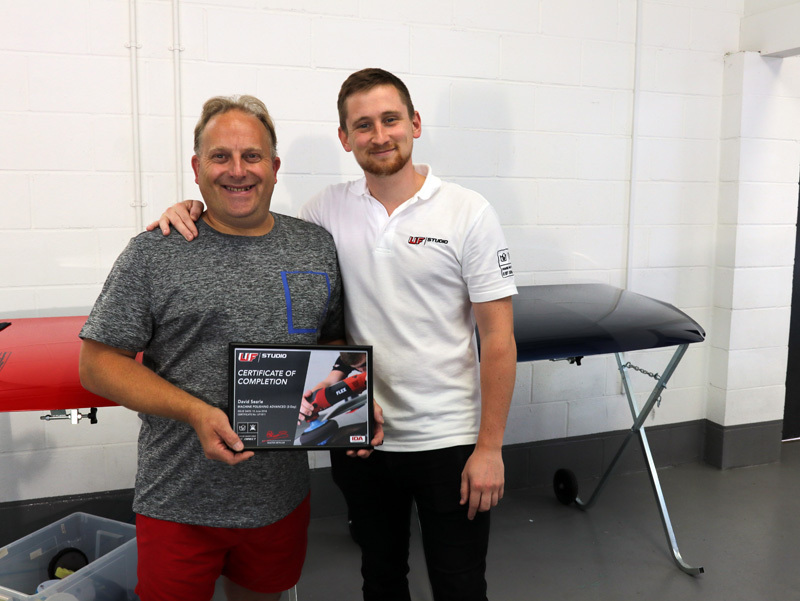 Earlier this month, UF hosted the first Machine Polishing Advanced Training Course, a 2-day event designed to enhance attendees knowledge and gain increased practical experience using a variety of machine polishing tools on a range of substrates. The first two to take up the course were, helpfully, both called Dave! 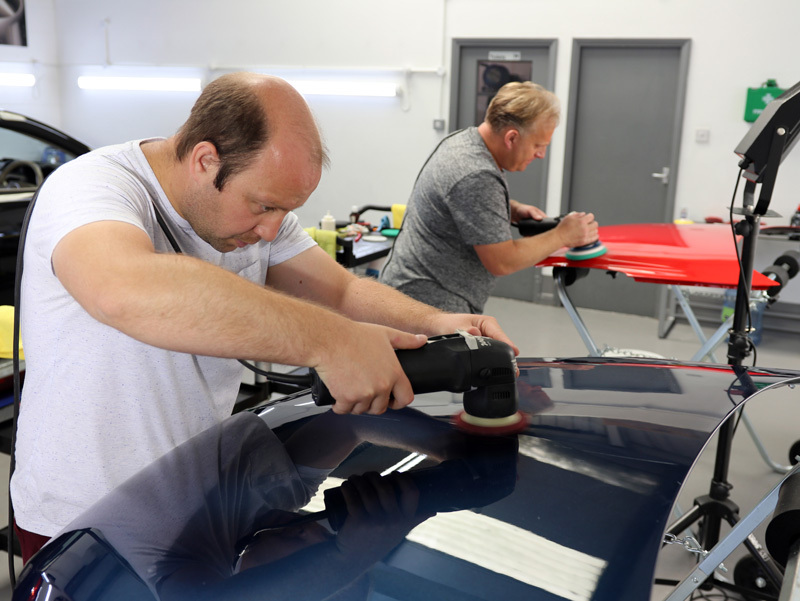 Luckily, one Dave is a detailer (henceforth referred to as Detailer Dave) who was looking to bolster his understanding of machine polishing, experience using a wide variety of machines and also to hone his wet sanding skills. 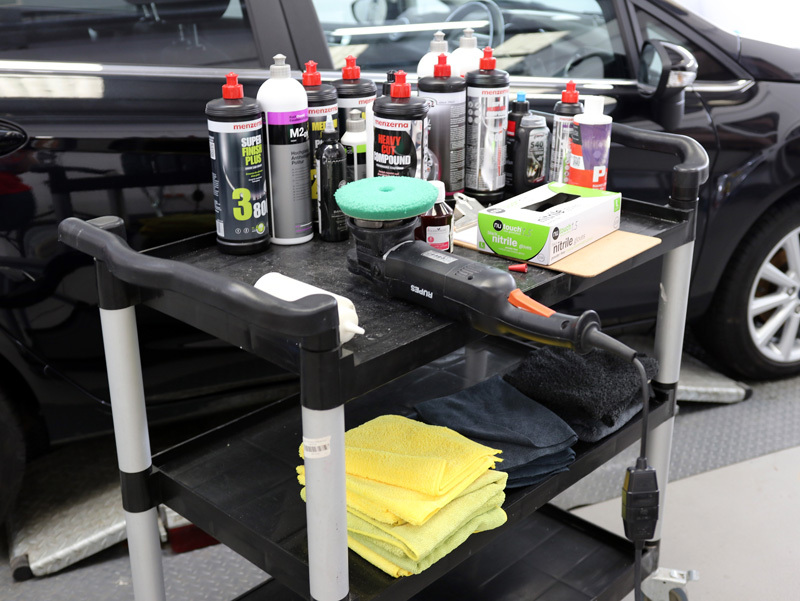 The other Dave is a car care enthusiast (Enthusiast Dave) and construction business owner who wanted to learn enough about machine polishing to take care of his fleet of vans. Day One: In preparation for the event, two bonnets were freshly painted. 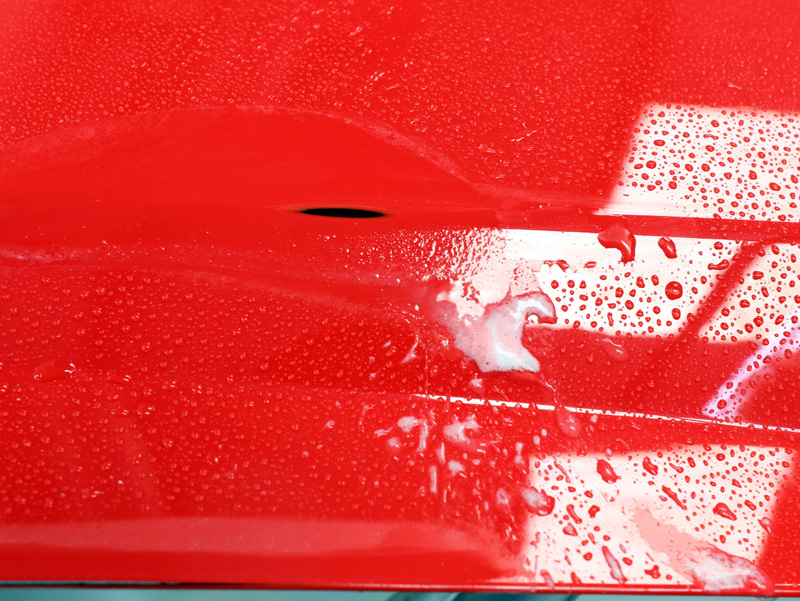 The red bonnet was prepared with a solid softer paint finish compared with the blue bonnet which had a metallic and therefore harder finish. The differing finishes were ideal for providing participants the opportunity to practice on both and to experience the effect the same pad and compound combination has on different grades of clear coat. 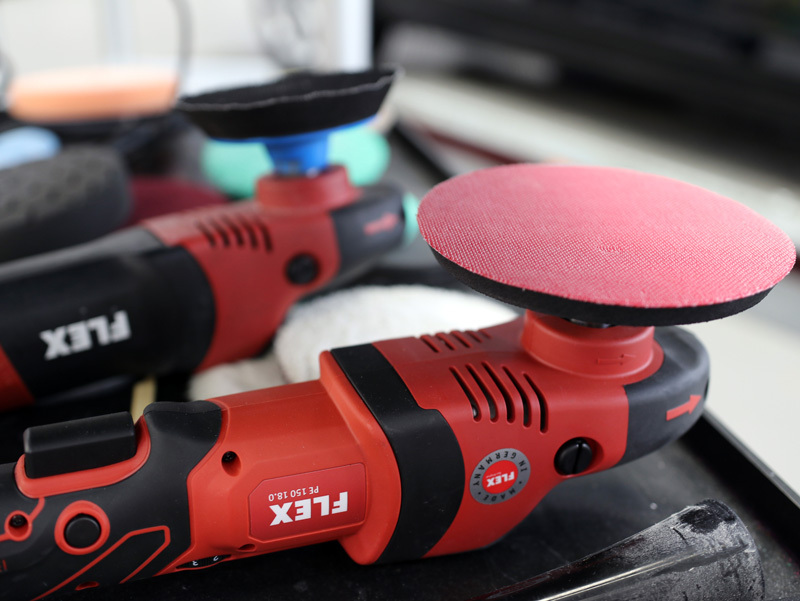 A selection of matting, cutting, polishing and refining pads and compounds were made available along with a variety of dual action and rotary machine polishers from RUPES and FLEX. 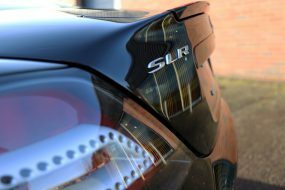 Various defects including emulated wash swirls and deeper scratches had been deliberately installed on the bonnets and the day began with close inspection of the paintwork with a SCANGRIP Sunmatch Detailing Light. 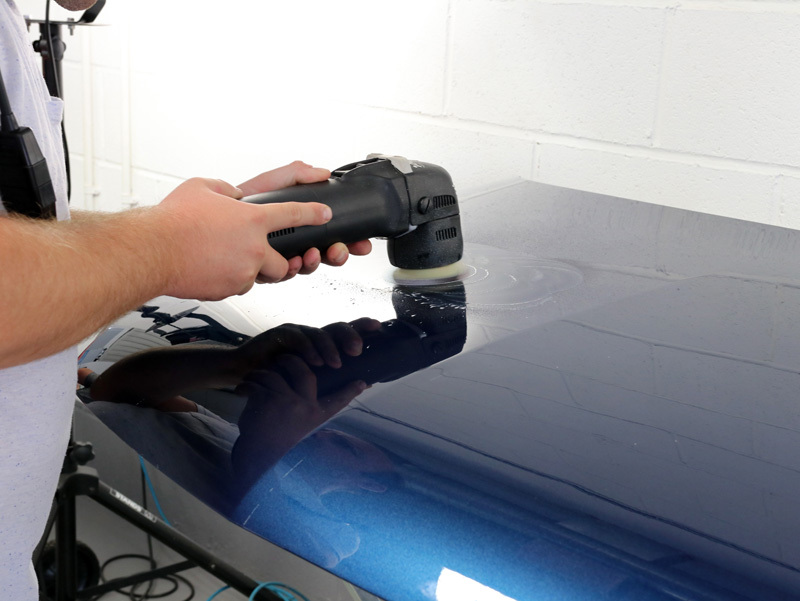 Prior to commencing machine polishing, a Defelsko Positest DFT Paint Depth Gauge was used to measure the paint thickness on the panels. A range of pads and compounds were introduced, with an explanation as to their primary use and the differences in their performance. Both participants were encouraged to experiment with different pad and compound combinations to examine the results they achieved. 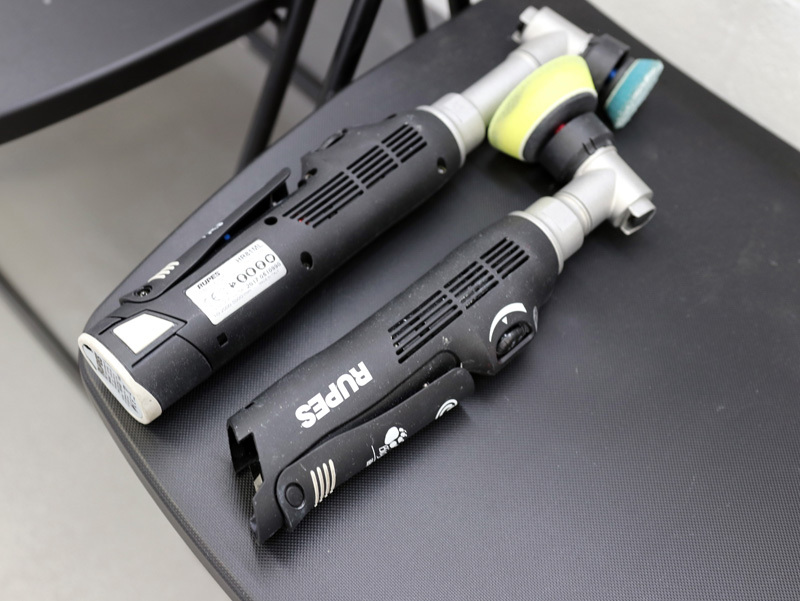 Having spent time experimenting with different dual action polishers, FLEX’s PE-150 Cordless Rotary Polisher and PE14-2-150 were demonstrated. 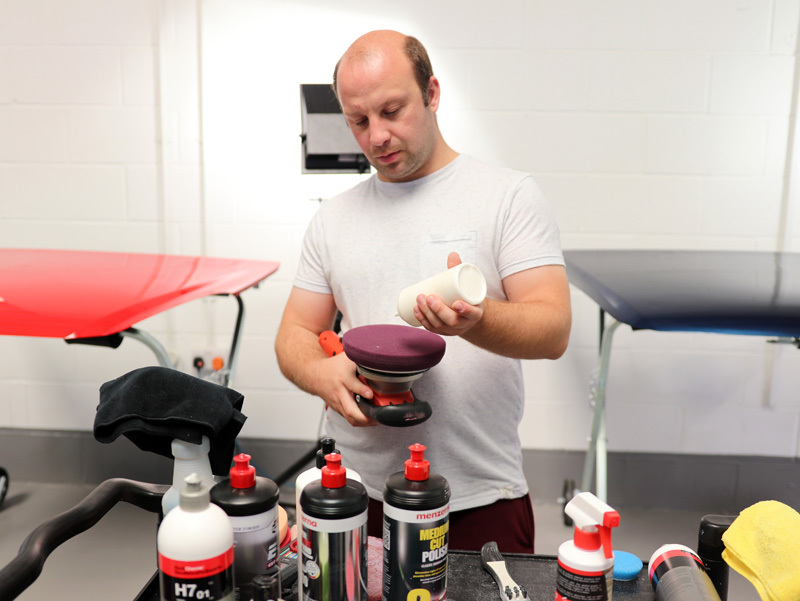 Both Detailer Dave and Enthusiast Dave were familiar with using rotary polishers although neither had experienced these specific machines. 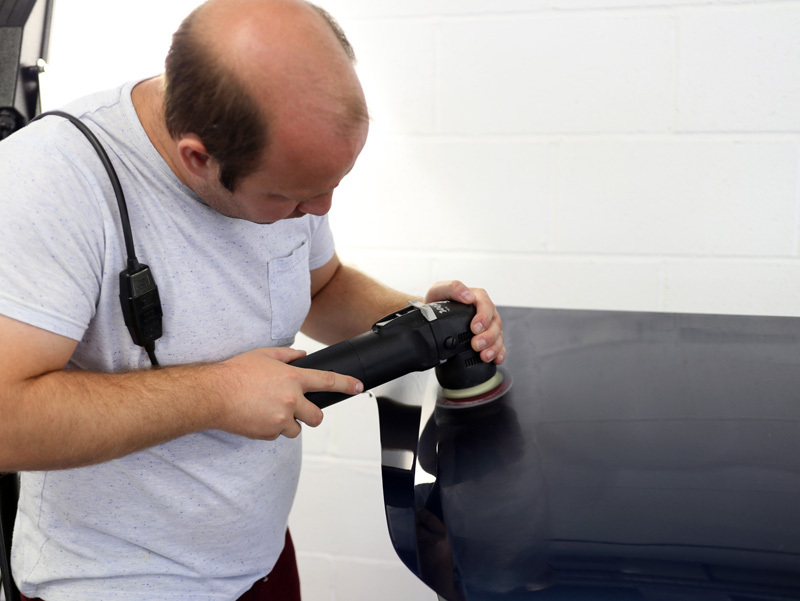 The RUPES Nano iBrid polisher was introduced and was a big hit with both participants, Detailer Dave describing it as “infinitely useful, particularly along narrow edges such as wheel arch rims, bonnet and boot curves”. Enthusiast Dave described it as “a lot of fun”! 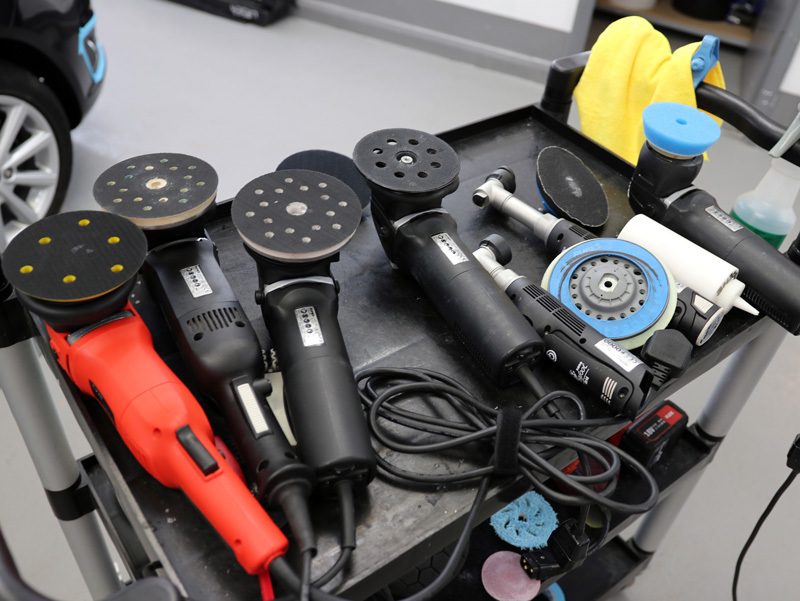 To prolong the life of machine polishing pads, it’s essential to maintain them properly. 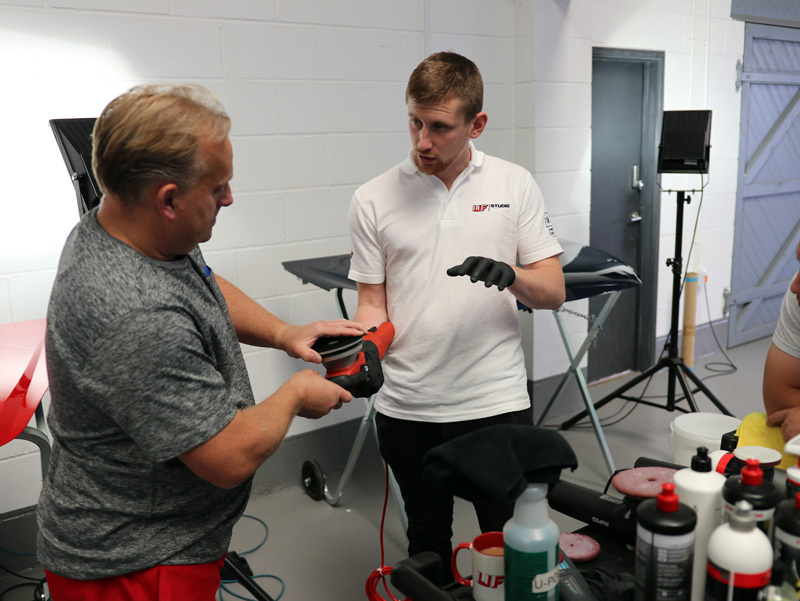 The participants were shown how to brush out polish residue regularly throughout their use to help prevent the foam pores from becoming clogged, keeping air circulating within the foam. This ensures the pad continues to provide the expected level of cut. 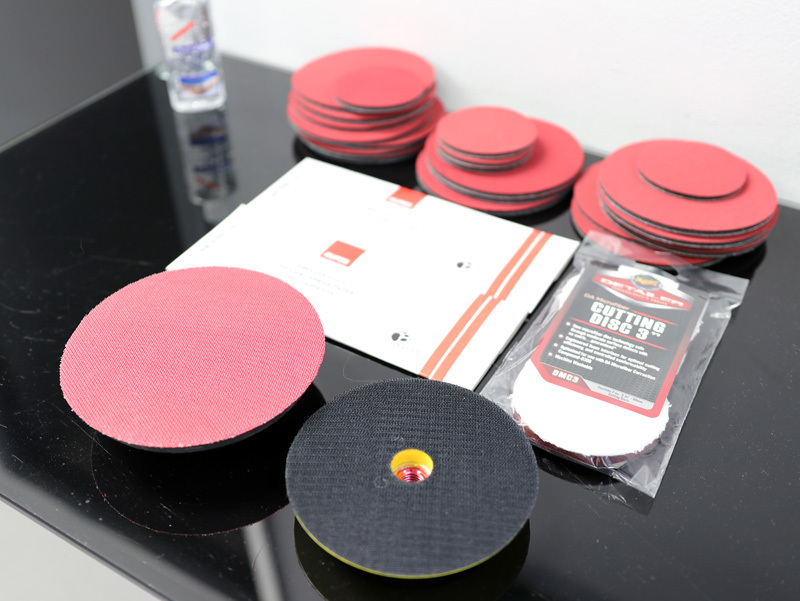 Many pads can be cleaned in a washing machine but there are also specialist products available specifically designed to thoroughly clean all foam, wool and microfibre machine polishing pads. Day Two: The second day of training began with an introduction to the FLEX XC 3401 Orbital Polisher. 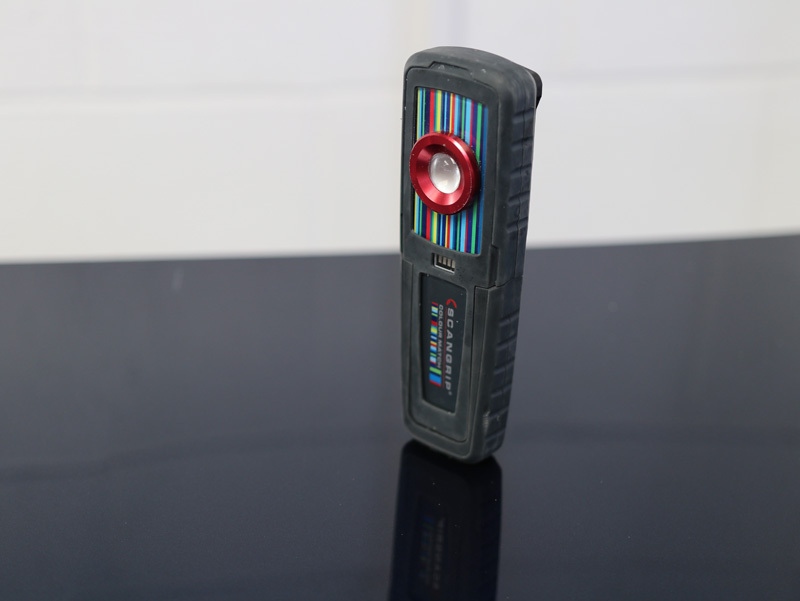 This dual action machine has permanent direct drive which reduces heat generation making it ideal for temperature-sensitive paints. After having had the opportunity to experiment with the forced rotation polisher, the day moved on to wet sanding techniques. 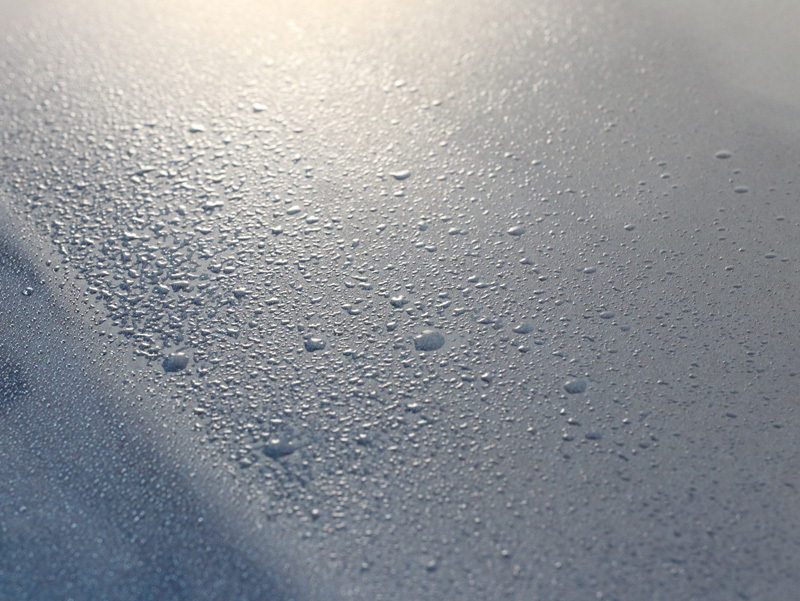 As with machine polishing, wet sanding should be approached using the finest grit first before moving on to a coarser grade if required. 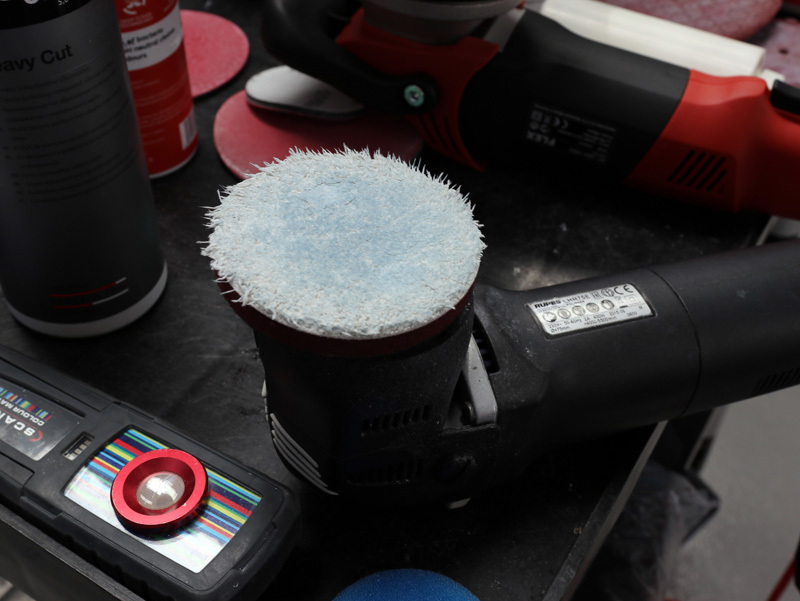 For today’s training session, RUPES 3″ X-Cut Foam Abrasives were used: 1500 grit is the heaviest, 2000 is medium cut and 3000 grit is the finest. The pads were used with a RUPES BigFoot LHR 75E Mini. First, water is sprayed onto the panel to provide lubrication and then the area is worked for a few passes. The participants were given some time to continue experimenting with the panels. 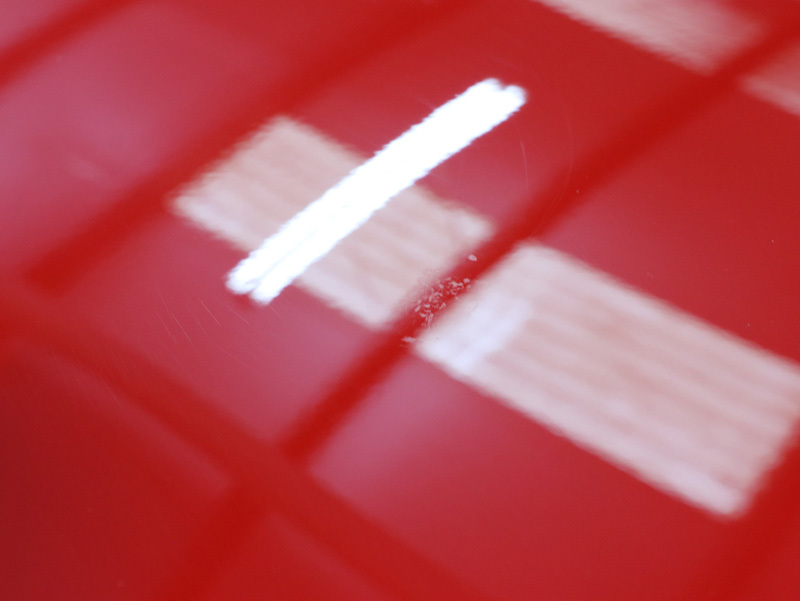 The final stage of the day was to machine polish a volunteer’s car but first, as a confidence-building measure, both participants were encouraged to purposefully burn through the paintwork on a test bonnet. 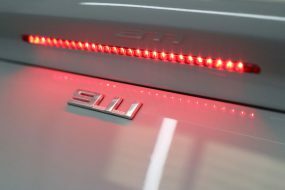 The participants then moved to working on a donor car taking it in turns to work on the boot, where the majority of the substrate is plastic and the metal bonnet. 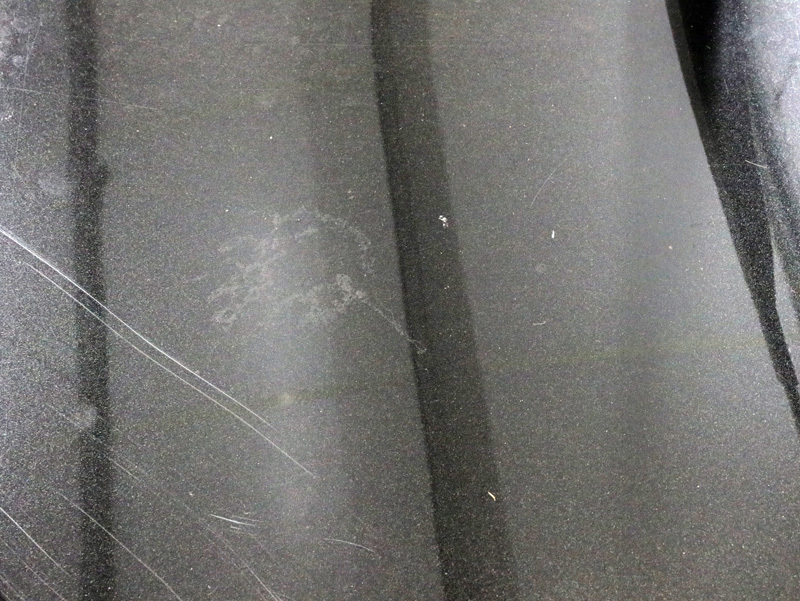 The paintwork was significantly scratched, swirled and generally, tired. The remainder of the afternoon was allocated to practice with Matt on hand to answer questions and assist at all times. At the end of the second day, both participants were presented with a certificate of completion. 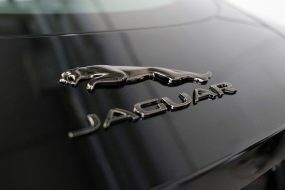 Car Care and Detailing Training Courses are available at UF Studio, Brands Hatch, Kent. For further information, upcoming dates and to book a place, please click here. 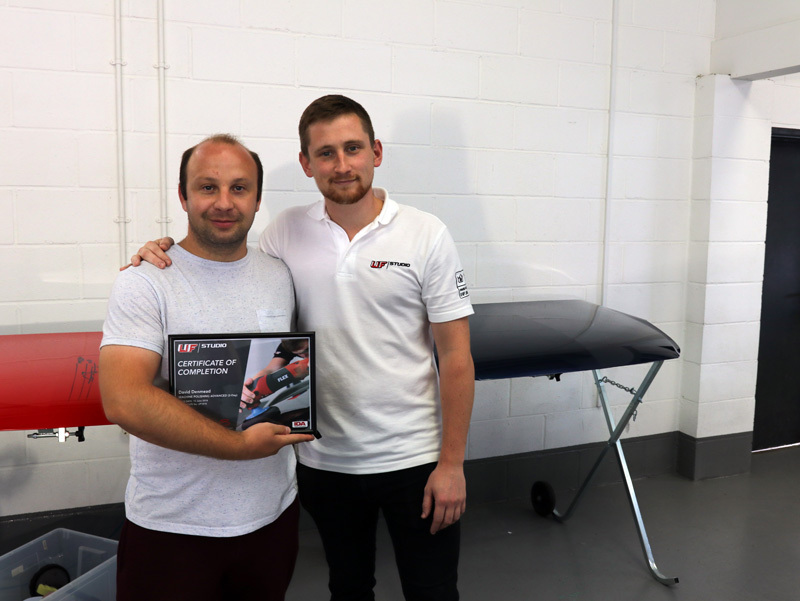 UF Studio – Award Winning Detailing and Training. 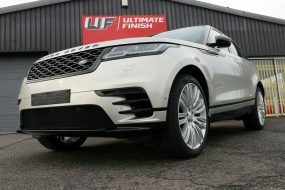 UF Direct – Shop the World’s Best Car Care Products.